David began his real estate career in Texas in 2003. He developed a successful real estate practice through personal production with sales of over 600 units on a yearly basis. This success led him to create a strong administrative team to handle operations and build sales teams that support individual buyers, sellers, and new home builders and developers. A couple of years ago, he expanded his operations from Texas to California to increase his reach and price point. Currently, David is focusing on tapping into the luxury market and developing expansion teams, using his insight in multiple markets and different brand models. David has been named Top Realtor in the nation by Real Trends. He has also been included in the KW Top 100 Group, and TOP 250 NAHREP Latino Real Estate Agents. 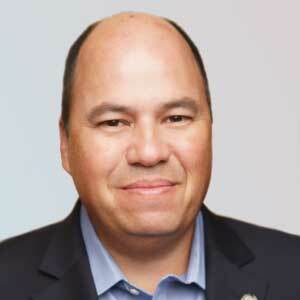 Gary Acosta is the co-founder and CEO of the National Association of Hispanic Real Estate Professionals(NAHREP®). NAHREP is the nation’s largest Hispanic business organization with over 30,000 members and 75 local chapters. 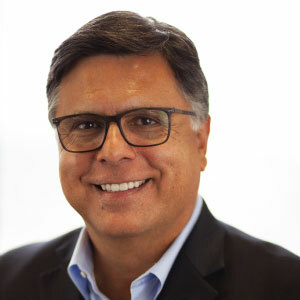 In his capacity as CEO of NAHREP, he created the Hispanic Wealth Project, a 501c3 non-profit organization with a strategic plan to triple Hispanic household wealth by 2024. In 2018, He co-founded L’ATTITUDE, a mega event that celebrates the achievements of the Latino community in business, entertainment, technology, and politics. 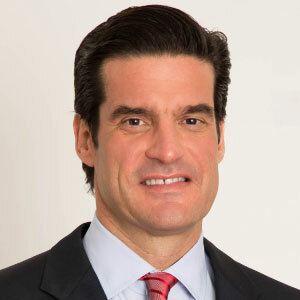 Mr. Acosta has also founded or co-founded several mortgage, real estate and technology companies including New Vista Asset Management, CounselorMax, and RealEstateEspanol.com. In 2013 he co-founded The Mortgage Collaborative, a cooperative of mortgage companies who work together to increase profitability and market share. Mr. Acosta is a former appointee of the consumer advisory board (CAB) of the Consumer Financial Protection Bureau (CFPB), the federal agency responsible for regulating consumer protection in the financial services industry. He served as 2014 chairman of the CAB mortgage committee. He is a current member of the board of trustees for the Home Builders Institute and is a former member of the board of directors of the Mortgage Bankers Association of America. He has also served on advisory boards for several Fortune 500 companies including Fannie Mae and Freddie Mac. Mr. Acosta grew up in Montebello, California and received his education from Pomona College and the University of California at San Diego. He lives with his family in San Diego, California. Sara Rodriguez is the CEO/Owner of Titan Title and a partner at Mendez Rodriguez, PLC. Her practice specializes on all matters related to residential and commercial real estate transactions. She was 2016 President of the NAHREP Metro DC Chapter and has served on the chapter’s Board of Directors since 2013 in various leadership roles. Additionally, she serves as a national chapter coach. Since 2005, Mrs. Rodriguez has taught DPOR approved courses through various state licensed schools in both English and Spanish. She also teaches Continuing Legal Education (CLE) for the National Business Institute in Virginia. Mrs. Rodriguez has appeared as a speaker at multiple events and conventions speaking on a multitude of real estate issues including Contract, Short Sales and Foreclosures. She was admitted to the Virginia Bar in 2003 and has practiced immigration law, family law and real estate law. Daisy Lopez-Cid is the 2018 President for the National Association of Hispanic Real Estate Professionals® (NAHREP®) and Broker/Owner of RE/MAX Premier Properties in Kissimmee, Florida. Originally from Brooklyn, New York and with a background in immigration law, Ms. Lopez-Cid has been a force in Central Florida real estate for the past 17 years. Entering the real estate market in 2001 as an associate, she is now owner of what is ranked as the most successful RE/MAX franchise in Osceola County since 2013. Ms. Lopez-Cid has served on the NAHREP National Board of Directors since 2013, and is a Past President of NAHREP Central Florida. Daisy was instrumental in the creation and development of the NAHREP coaches program and served as chairman to the coach’s program in 2016. 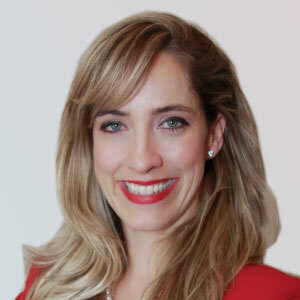 She has recently focused her efforts on facilitating the launch of new chapters in strategic markets, including Puerto Rico, Boston and Philadelphia. Consistently ranked as one of the top Latino agents in the United States on the NAHREP Top 250 Latino Agents list, Ms. Lopez-Cid was recognized by the City of Kissimmee in 2014 for making the list three years in a row. An avid advocate for homeowner rights and sustainable homeownership, she often travels to the state capitol and Washington D.C. to meet with lawmakers, especially in recent years given the volatile housing market. 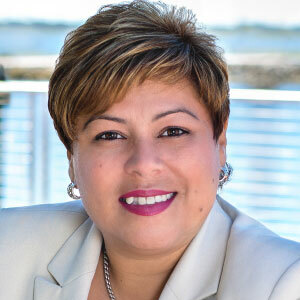 In 2013, Florida Governor Rick Scott appointed Ms. Lopez-Cid to the Valencia College District Board of Trustees where she provides insight to direction of the college’s policies. Gerardo “Jerry” Ascencio is chairman of the NAHREP Foundation, dba Hispanic Wealth Project, and broker-owner of San Fernando Realty. A 30-year veteran of real estate, he is also the 2012 President of the National Association of Hispanic Real Estate Professionals® (NAHREP). NAHREP is the largest minority real estate trade association in America with over 30,000 members and 60 local chapters nationwide. 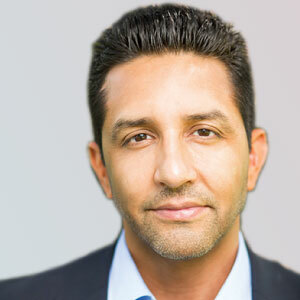 A sought out public speaker, motivator and trainer, Mr. Ascencio is widely recognized as one of the most charismatic speakers in the real estate industry today. A native of Michoacán, Mexico, Mr. Ascencio’s own immigrant experience has made him an impassioned advocate for homeownership and economic empowerment for all Americans. Between 2012 and 2014, he anchored 100 episodes of ESN, NAHREP’s highly successful YouTube talk Show. In 2014, he starred in 53 Million and One®, a one-of-a-kind theatrical presentation that chronicles his extraordinary life story. The show premiered at the NAHREP National Convention and Latin Music Festival in Los Angeles, California and was the featured performance of the 2015 Nuevo Latino Tour across the United States. Mr. Ascencio also owns Mission Real Estate and San Fernando Realty Escrow Division, and served multiple terms as a national board member of the National Community Stabilization Trust NCST. 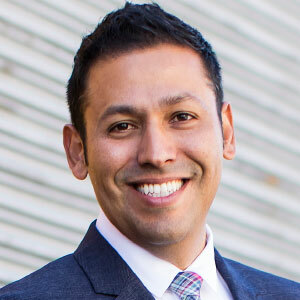 He is the founding president of the NAHREP San Fernando-Santa Clarita chapter and has also held local leadership roles with the Southland Regional Association of REALTORS®. Joe Castillo is a second generation REALTOR® following in the footsteps of Maria and Jose Castillo, co-founders of Mi Casa Real Estate, Inc. He grew up in the business that he now loves, talking real estate at the kitchen table and spending many summers at the office helping out. Joe obtained his real estate license at the age of 21 while continuing his studies, graduating from the University of Illinois at Urbana-Champaign and the University of Chicago Booth School of Business. Since dedicating himself to real estate in 2005, Joe has received many awards due to his extensive work helping his clients through the process of buying and/or selling their home. Every year since 2010, the Chicago Association of Realtors (CAR) has recognized Joe as a top 1% producer in all of Chicago. Joe is also recognized by the National Association of Hispanic Real Estate Professionals (NAHREP®) since 2012 as one of the Top 250 Latino Real Estate Agents in the United States. Over the years, Joe’s role has expanded to include title managing broker and owner. Under his leadership, RE/MAX Mi Casa has steadily grown, topping 1,000 transactions and over 165 million dollars in sales for 2018—making it a top 40 office in all of Chicagoland. RE/MAX Mi Casa has been recognized every year since 2013 by NAHREP as the real estate office with the most agents ranked in the Top 250. Due to the success of RE/MAX Mi Casa, Joe was recognized by the Chicago Association of Realtors with the prestigious 2016 Managing Broker of the Year award. As a way to give back to the community, Joe sits on the board of Arrupe College of Loyola University, which focuses on providing a college education to students in need of an opportunity. He also is a Director on the National Board for NAHREP, an organization with over 30,000 members from the real estate community nationwide. In the past Joe was a board member of the Rauner Family YMCA serving the Pilsen/Little Village area of Chicago. Mark Dimas is the Broker Owner of Mark Dimas Properties, central to the Greater Houston area with strong roots in DFW and San Antonio real estate as well. Mark is well-respected not only for his professional track record, but even more in his relentless pursuit to grow opportunities in real estate. Mark Dimas Properties operates at over 90% referrals and repeat business and has upheld excellence in real estate service. Record-breaking over 750 positive reviews and upwards of 500 residential listings sold each year, Mark stays hungry and humble to find new ways to change lives and leave every community positively impacted. Refined in the fire of entrepreneurship at a young age, Mark quickly recognized an ever-growing demand for top tier service and an absence in industry-wide digital innovation. Dedicated to the real estate market, he has made it his life’s work to improve the quality of life for homeowners, agents, developers and communities at large. Mark lives his life as Zig Ziglar once said, “You can have everything in life you want, if you will just help people get what they want.” Through servant leadership and a commitment to lifelong improvement, Mark runs an extensive portfolio of real estate service companies with a strong work ethic and tenacity in representing his clients’ best interests. Keynote speaker and thought leader in sales, the laws of attraction, team culture and more, Mark Dimas disrupts the real estate sector with interactive marketing, technology and operational excellence–always cutting edge and always first class. Armando Falcon, CEO of Falcon Capital Advisors LLC, is an expert on real estate markets, financial services regulation, and corporate governance. He provides strategic consulting services to a wide range of clients on issues such as mortgage market policy reforms, capital market financing, corporate governance reviews, regulatory compliance matters, and new mortgage market product innovations. He previously served as the chief regulator for two of the largest financial institutions in the world, Fannie Mae and Freddie Mac. Nominated by President Bill Clinton and confirmed by the U.S. Senate to the position of Director of the Office of Federal Housing Enterprise Oversight (OFHEO), Mr. Falcon continued to serve in this role into President George W. Bush’s second term. He played a key role in overseeing the U.S. secondary mortgage market and the stability of the U.S. housing finance system. During Mr. Falcon’s tenure, he transformed OFHEO from a small struggling agency into a strong respected regulator that was recognized by the Washington Post as a courageous and highly effective agency. Through his work at OFHEO, he is now credited with raising early warnings about the latent dangers in the US housing market. In 2003, he initiated an agency report on systemic risks in the mortgage market. He led an OFHEO investigation of financial misconduct at Fannie Mae and Freddie Mac, and initiated corrective measures to address structural deficiencies at both companies. He oversaw the introduction of higher standards for risk management, accounting and corporate governance. In addition to managing the agency and its diverse staff of some two hundred experienced examiners, financial analysts and attorneys, he also served on the President’s Corporate Fraud Task Force. Before his appointment as the Director of OFHEO, Mr. Falcon served as the General Counsel for the Committee on Banking and Financial Services of the U.S. House of Representatives. In that capacity, he was responsible for advising the Committee on all major financial issues, including the Savings and Loan crisis. He was instrumental in drafting many key laws, including legislation regarding deposit insurance and regulatory reform, money laundering, interstate branching, consumer protection, and government securities reform. He remains a trusted advisor to senior government officials, and in 2009, he was selected by the Comptroller General of the Government Accountability Office to serve on the Comptroller General’s Advisory Board. He also advises foreign government officials and business executives on how to develop effective primary and secondary mortgage markets. In addition, he is a regular speaker at investor and business conferences around the world. Mr. Falcon holds a Bachelor of Arts degree from St. Mary’s University, a master’s in public policy from Harvard University, and a law degree from the University of Texas. 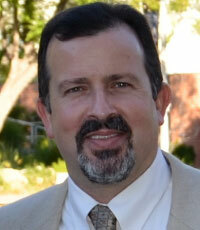 Christian Fuentes is co-owner of RE/MAX Top Producers in Diamond Bar, California is a 20-year real estate veteran. Mr. Fuentes has built a solid foundation of clientele through his hard work and dedication to customer service. He works with standard residential buyers and sellers, but he also takes pride in working with investors. He has a long record of successfully guiding local investors with residential acquisitions, lease obligations and asset deposition. He, himself has been an investor for 5 years flipping over 300 homes. Mr. Fuentes’ hard work and determination over the past 20 years has earned him many distinctions, placing him in the RE/MAX Diamond Club every year since 2012. As the team leader of the award winning Dream Team, Christian has been ranked among the top 10 teams at RE/MAX in California and Hawaii from 2011 – 2016. Juan Martinez is the Broker/Owner of Century 21 Martinez & Associates. A leading figure within the real estate industry, Mr. Martinez has been pushing the boundaries of production over the course of his 13 year career. He concluded his successful sales career with over 4,000 closed transactions (with 584 closed transactions in his last year of production), resulting in $16 million in commissions. Since then, Mr. Martinez has laser-focused his efforts towards building an innovative company devoted entirely to training and coaching real estate agents. 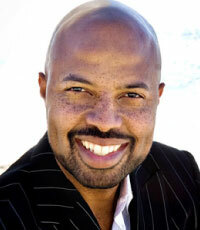 For the first 10 years of his 13 year career, he functioned as an award winning real estate agent. 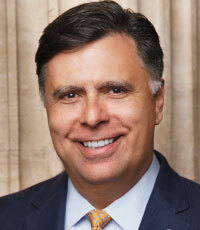 The Wall Street Journal’s Top Trends Report named him the “#1 Hispanic Agent” and “#13 Team” in the nation. In 2011, Mr. Martinez was named number 1 producing Latino real estate agent in the country per the NAHREP Top 250 list. During his time operating within the RE/MAX brand, he was a seven time winner of the Chairman’s Circle Award, three time Diamond Award winner, as well as the recipient of a Lifetime Achievement award and a Hall of Fame Award. He also led his team to be named one of the Top 100 Teams in the World, a recognition they’ve received multiple times. In 2009, Mr. Martinez served as president of the National Association of Hispanic Real Estate Professionals (NAHREP) Nevada chapter. He also served on their National Board before going on to hold the position of NAHREP National President for 2013 and 2014. Since the onset of his involvement with the NAHREP organization, he has collaborated with many leaders in the Housing industry, including Shaun Donovan, former United States Secretary of Housing and Urban Development, former President Bill Clinton, Senate Majority Leader Harry Reid, and FHA Commissioner and Assistant Secretary for Housing, Carol Galante. He has also lent his extensive industry insight to leading media outlets such as CNN and CNN Español. Recently, Mr. Martinez has turned his focus towards the formation of a comprehensive back-end system based on 5 Pillars for powerhouse production. With the assistance of internationally recognized real estate coach, Mike Ferry, of the Mike Ferry Organization, from whom Mr. Martinez has been coached by for the entirety of his career, he was able to form his own thorough style of coaching and mentoring. Alex Mosquera founded Terra Realtors in February of 2013 and Terra On The Hudson in January of 2018 housing approximately 30 agents who service Union, Essex, Hudson, Bergen, Passaic, Middlesex, and Monmouth counties in New Jersey between the two strategic locations. 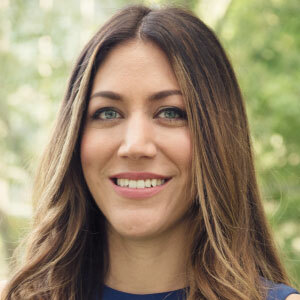 Mosquera first joined real estate in 2003. Initially a Sales Associate at a local Century 21 he was quickly promoted to Assistant Manager where he spearheaded recruitment, training, sales, and innovative marketing campaigns for his brokerage reaching approximately 50 licensees. Mosquera transitioned into Coldwell Banker later where he focused on the development of his sales career and expanding into adjacent local markets. He was eventually ranked 7 amongst Sales Associates in New Jersey during his tenure there. 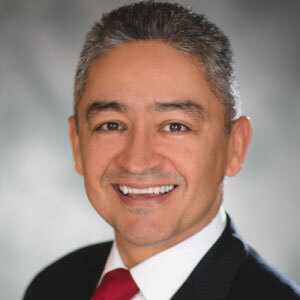 Later Mosquera went on to become the Director of Retail at a local Prudential once again spearheading recruitment, training, and sales for the organization. Mosquera has served for NJ Realtors on the Legislative and Communications committees. He has taken on roles as the Chair of Political Affairs and Vice Chair of the Legislative Committee for 2019. Locally he is a Trustee at the North Central Jersey Association of Realtors, the fourth largest board of Realtors in the country, where he is being recognized as Realtor of the Year in 2019. 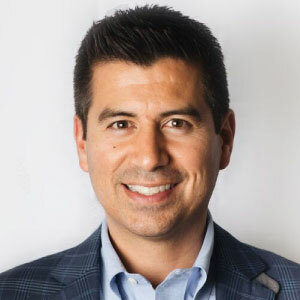 He is a frequent speaker at industry and leadership events and is routinely mentioned on lists of the top real estate leaders, including the National Association of Hispanic Real Estate Professionals Top 250 List. 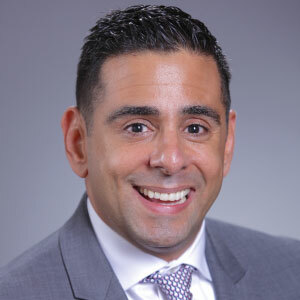 Mosquera has recently served as the President of the National Association of Hispanic Real Estate Professionals North New Jersey chapter where he undertook the development of five new markets for the organization. 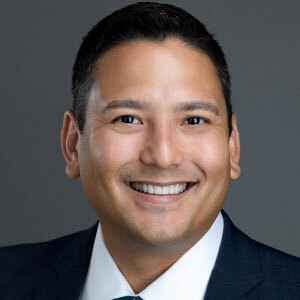 Joseph Nery is one of the members of Nery & Richardson LLC and his practice is focused in four areas: real estate, corporate and business law, estate planning and commercial and civil litigation. 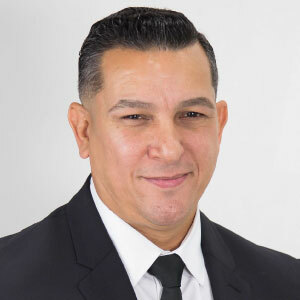 Mr. Nery represents individuals and companies in litigation matters such as foreclosure prosecution, consumer protection, breach of contract and landlord/tenant disputes. Prior to establishing his own law practice, Mr. Nery was a transactional attorney with two of Chicago’s most prominent law firms. Mr. Nery served as president of the National Association of Hispanic Real Estate Professionals® in 2016 and was the NAHREP Chicago Chapter President from 2009 – 2011. 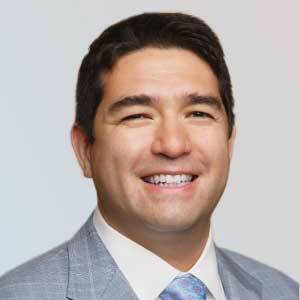 Mr. Nery has also served as a board member of the Illinois Real Estate Lawyers Association since 2008. He is an active member of the American Bar Association, Chicago Bar Association and Hispanic Lawyers Association of Illinois. Mr. Nery’s charitable affiliations include serving as a board member of the March of Dimes/Comcast Sports Awards Dinner and the Rauner YMCA. He is a frequent speaker on topics such as business formation and development, establishment of estate plans, short sales, foreclosure prevention, predatory lending, collections enforcement and the purchase and sale of a home. 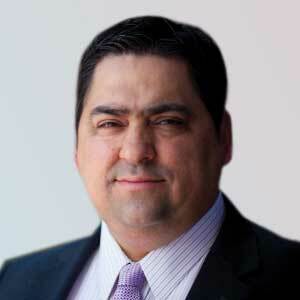 He is regularly featured on legal and business segments with Univision and Telemundo Chicago in radio and television. Mr. Nery obtained his law degree with distinction from the Hofstra University School of Law in Long Island, New York where he was a recipient of the Patricia Roberts Harris Fellowship. He received a bachelor of arts in political science with honors from Northwestern University in Evanston, Illinois. 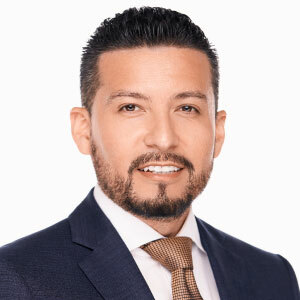 Luis’ career has taken him from commercial and residential lending, to property management and real estate sales, as well as owning numerous real estate businesses over the past 20 years. Ranked consistently as a top agent nationally, Luis is now the co-owner of RE/MAX Oceanside Realty along with his wife, Debbie. Nuria sits on the National Board of Directors for NAHREP and also serves as a chapter Coach. Nuria came to the United States when she was 11 years old and learned a new language and culture. She is a millennial entrepreneur and launched a Title & Escrow company in 2015. Although it is a newer company, Novation Title has received Utah’s “Best of State” award for 3 years in a row since in 2016, which was a very humbling experience for Nuria and her team. Nuria feels passionate about the community and giving back and has a non-profit organization called “Dreamers’ Foundation” that holds an annual fundraising event to give back to an already established charitable organization. Nuria recently started an Entrepreneur Coaching Company to follow one of her passions which is self-development and growth. She fulfills her purpose by teaching and helping others create the life they desire. Nuria loves traveling, music, creative art, running, reading, and family. A focus for her is contributing to her community, so finding ways to give back in all that she does is of priority. She feels passionate about reaching goals and wants to help the community and people around her reach theirs. Nuria feels that her purpose in life is to develop, inspire, empower and help change our world. Josue Soto is the Broker / Owner of Equity 1 Realty. He is a Realtor with over 13 years of experience in the Central Florida market. Having opened his office in 2010 during the downturn of the market, He has weathered the storm and continues to grow his company. Aside from his personal business, Josue has been a member of NAHREP for many years, he loves this organization, and it’s mission. As a result, he became involved in leadership in 2015. In 2017 he became President of NAHREP Central Florida, he lead the chapter to achieve NAHREP’s Chapter of the Year, and after his term he became a Regional Director and now is a National Coach. As a result of this opportunity, Josue has had great success, he doubled his income, has sold 80 million in his career and is in the top 1% of the Central Florida market due to the education he has received, the important connections and relationships and mentors he established through NAHREP. This has elevated him and put him front and center with high ranking executives and top producers. He has grown personally and professionally. In gratitude of all he has experienced, he shares advice with others and takes pride in helping them grow their businesses. Neily Soto joined the real estate industry 17 years ago to help the Hispanic community achieve their dream of home ownership. It was shortly after September 11 when she was laid off from managing a hydro electric plant in Methuen, MA that she decided she wanted to connect more with her community. Currently Neily sits on the board for the largest Cap agency in MA. “This is one of the ways I keep in touch with what is happening in my local community and I can serve as a voice for their needs.” Board member to her local association, and committee member for the National Association of Realtors keep me in tune with industry changes. Nahrep Top 250 and Century 21 Centurion award winner are some of the recognitions she has been awarded. After more than 17 years of real estate experience as an investor and developer, Neil was able to acquire, build and sell more than $15,000,000 worth of residential and commercial real estate assets. He accomplished this while also excelling as a 14 year Software Sales Manager at IBM where he ran Business Partner sales in the US, Canada, and Puerto Rico. In 2014 he decided to take the next big step and combine his experience in both real estate and technology by following his personal mission of helping the Hispanic community achieve their homeownership dreams. He created real estate platforms YourCasa and SuCasa.com to help educate, prepare and connect 1,000’s of families with Spanish speaking Real Estate professionals that can help them achieve those dreams. In the last two years, SuCasa has helped many agents and lenders across the country by connecting them with over 34,000 prospective buyers and looks to increase traction and conversion so more families can gain a better path to long-term wealth. Alicia Treviño leads a group of 52 agents and 2 offices in the highly competitive market of Dallas, Texas. Her offices have been awarded Century 21’s honor of Quality Service Award, Per Agent Productivity Award and the highly coveted Centurion award, which is based on units closed by an office under 30 agents. Ms. Treviño began her real estate career at the age of 24 and became the top producer her first year selling over 60 homes to first time homebuyers. She pioneered the concept of a team and brought in a showing agent and assistant at a time when this was not common practice in the industry. Ms. Treviño was the #1 agent in Texas and was recognized as an up-and-coming agent to watch under 30 by Realtor Magazine.